Mumbai, July 26, 2018: MN+, the gold class of Hollywood movies associated with Kamal Haasan’s Vishwaroop 2 for Season 3 of Pathbreakers. Starting August 06, ‘Pathbreakers’, a compilation of critically acclaimed and genre-defining cinema that broke stereotypes and pioneered change will showcase 50 Hollywood pathbreaking movies over 50 days. 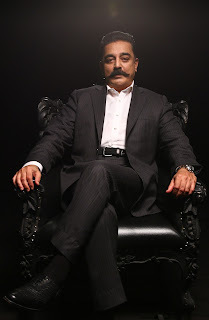 Through a special integration with Vishwaroop 2, Kamal Haasan has extended his support for this special property that aims to bring good cinema to its viewers. In an exclusive chat with MN+, Kamal Haasan talks about his favourite pathbreaking movies, directors and film characters that inspired his film journey through a glorious career spanning more than 6 decades. Sharing his thoughts on the Hollywood path-breaking films that inspired him, Kamal Haasan says, "The one that gives me goosebumps is 'Once Upon a Time in America' of Ennio Morricone and Sergio Leone. It was very instrumental for us to get inspired to make 'Nayakan'. Leone set a trend that many ad filmmakers followed afterwards, and Morricone's music lives at least for four generations now. There are so many things, especially the casting, that made 'Once Upon a Time in America' astounding. You don't have to explain with dialogues. You just see the characters and you know who's grown up into what." "Once Upon a Time in America" will be aired on MN+ in the third season of ‘Pathbreakers'. As part of the property, the channel will air critically acclaimed movies like The Girl With The Dragon Tattoo, Unbreakable, The Dark Knight, Casino, August Rush, The Great Gatsby, Fight Club, Pulp Fiction, The Negotiator, L.A. Confidential, Heat among others. MN+ is a premium HD English movie channel part of Times Network which brings The Gold Class of Hollywood Movies with both, popular and critically acclaimed titles, in pristine HD quality for the movie connoisseurs. The MN+ library comprises of must-watch movies across genres that are universally celebrated and are discussed extensively in social gatherings of people who have an opinion.